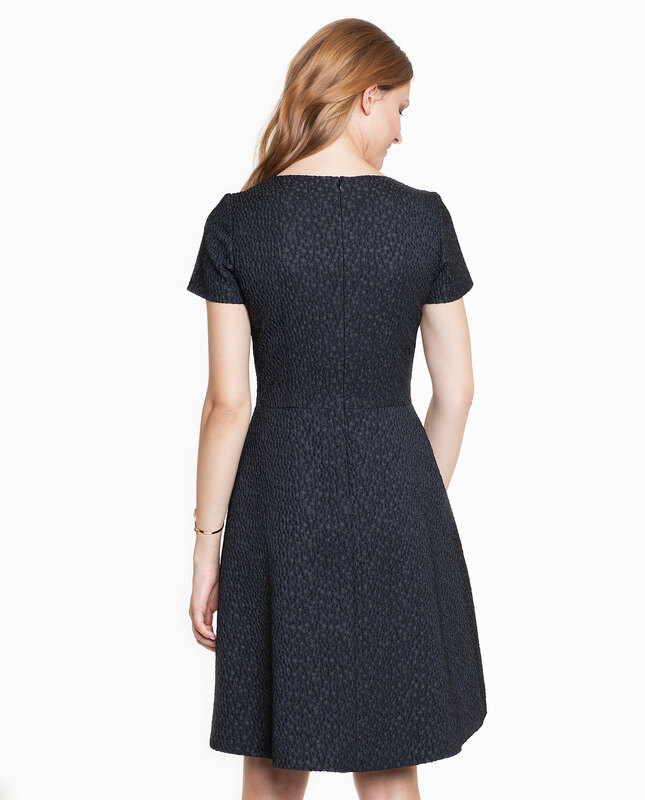 A long black short-sleeved dress manufactured from textured fabric. 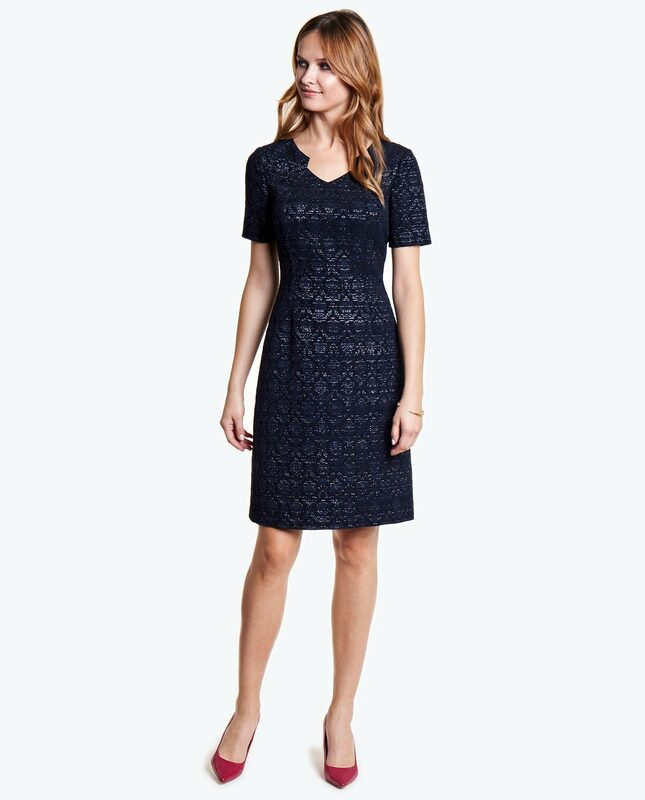 This waist cut out dress widens slightly and elongates on the back side. Thanks to its classic design, it will be perfect on many occassions – it will be a good choice for formal meetings and evenings out. Fastened with hidden back zipper.